Damiano was born on the 28th of September 1985 in Locarno, Switzerland, son of Annamaria and Maurizio. His sister, Deborah, was born in 1987. He attended primary school in Gordola and high school in Locarno. In 2004 he did his military service. In 2005 he enrolled at the University of Zürich on the Faculties of Political Sciences, History and Italian Literature. 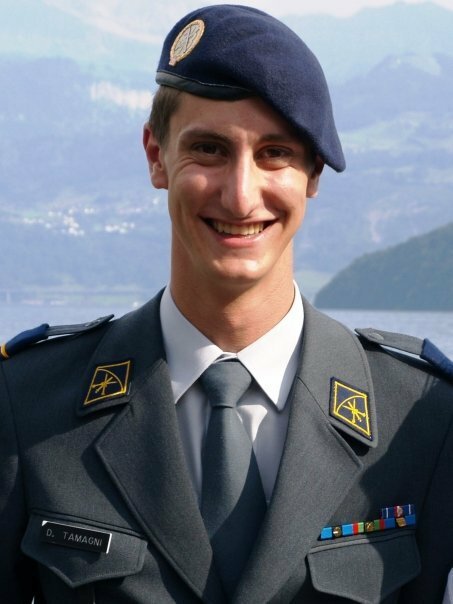 In 2006 he began Officer’s School of the Swiss Army, obtaining the grade of Lieutenant in 2007. He enjoyed diving, skiing and was passionate about online role playing games. On the night of the 1st of February 2008, during Carnival celebrations in Locarno, three silly young men, who violently beat him by kicking and punching him, attacked him without reason. His death was decreed on the 2nd of February 2008. With the approval of his parents, his organs were removed and donated for transplantation.